Alan Webber is Santa Fe’s 43rd Mayor—and the City’s first full-time executive. He was elected in March of 2018 with 66% of the vote in another first for Santa Fe, the City’s first Ranked Choice Voting election. Alan ran to make Santa Fe the most user-friendly, eco-friendly, and family-friendly city in the country. Making Santa Fe’s way of life sustainable. Alan has been married to Frances Diemoz for over forty years. They have two children, Adam and Amanda. Before running for Mayor, Alan built a career in business and journalism, most notably as the Editorial Director of the Harvard Business Review and Co-Founder and Co-Editor-in-Chief of Fast Company Magazine. 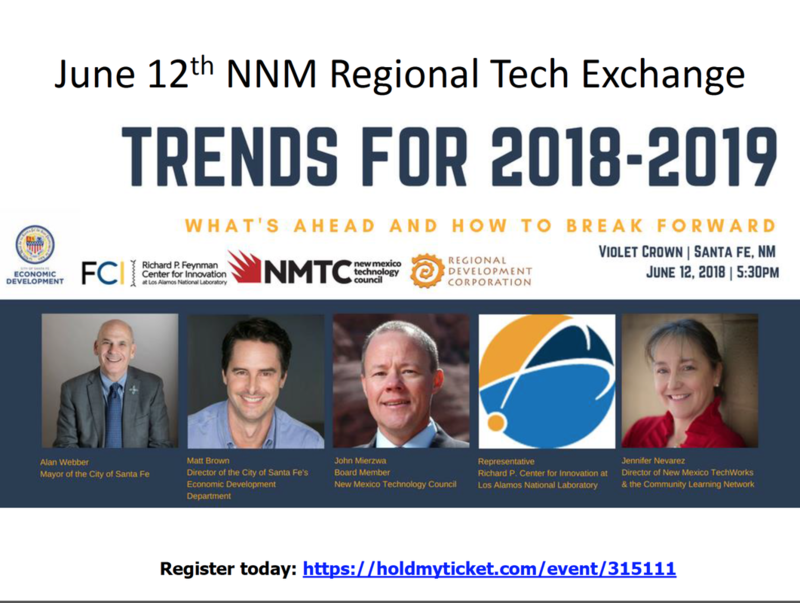 Jennifer Nevarez is the Director of the nonprofit Community Leaning Network (CLN) , and founder of New Mexico TechWorks which was created to "expand Tech access and education and increase Tech enterprise and employment" in Northern New Mexico. CLN has facilitated experiential learning programs with local youth and educational tourism with high school and college groups from around the US including Villanova, Stonehill, Fordham University, and Manhattan College, and currently facilitates the "Love Where We Live" Youth Ambassadors and Next Generation Media Team training programs, as well as digital media and marketing training programs including "1,000 Websites in 1,000 Days" DIY (Do-It-Yourself) Website-making and digital marketing worshops and the "Social Media Mavericks" Internship program. Born and raised in New Orleans, Louisiana, Jennifer attended both Georgetown University in Washington, D.C., and the University of Southern California in Los Angeles, before getting her Master's Degree in Education and eventually moving to New Mexico. With an extensive background in education, special events, nonprofit administration and development, Jennifer facilitated many creative programs and fundraising projects over the years including the national Crazy Hair Day Crazy About Reading Literacy Campaign and numerous special events with celebrities including Carol Shelby and Jane Seymour, as well as Dustin Hoffman and musicians Vonda Shepard and Jackson Browne. In the Tech and business world, she also wrote software system requirements and worked for Scientific Applications International (SAIC), facilitated international conference productions for engineers, and now facilitates the TechHire Task Force and TechHire working group of the Santa Fe Community Foundation's Birth to Career collective action initiative.